Everyone in the amusement industry looks forward to the juggernaut trade show that is the International Association of Amusement Parks and Attractions, or as we all know it, IAAPA 2018. For the past several years, Betson has been one of the few booths at IAAPA showcasing Raw Thrills’ new and exciting games – this year is no exception. Earlier this year, Raw Thrills and Play Mechanix announced their video-game-to-arcade-game attraction with Microsoft and 343 Industries, Halo: Fireteam Raven, a 4-player cabinet that takes part in the events of the original Halo: Combat Evolved storyline from an all new perspective—the ODST soldiers of Fireteam Raven. The 4-player attraction will be accompanied by (2) 2-player cabinets as well, similar in storyline but with a smaller footprint which is great for smaller locations or locations that want to squeeze in more games. Another popular and well known game, slither.io is making the jump from app store to game room. The hit game will launch with a giant 55” display and three player positions in a compact cabinet to maximize operator revenue and location appeal. 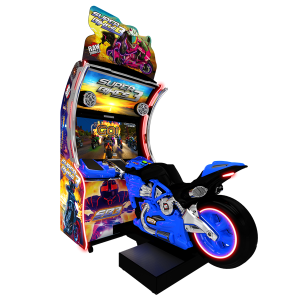 Building on the massively successful online game base, the arcade version adds exclusive gameplay features that keep players engaged and entertained. 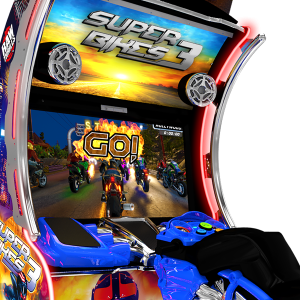 Last, but certainly not least, Raw Thrills brings back a classic rider game with a new twist, Super Bikes 3! The brand new cabinet features 8 fierce bikes, 5 killer tracks, 8 unique riders, and up to 8 cabinets can link up together for a truly entertaining experience. 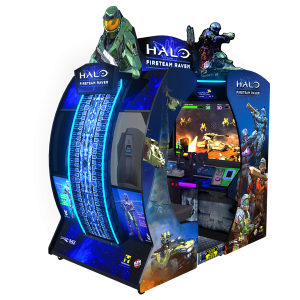 We’re thrilled to include these 3 brand new games in our booth (#615) at IAAPA, along with many other Raw Thrills top earners such as Teenage Mutant Ninja Turtles, Injustice, Snow Boarder, Space Invaders Frenzy and more.